Please go through the following steps if you are having any trouble creating or updating your MBBA Account. If you are still having trouble after following the steps, send an email to David Dean with the issues you are experiencing. Select the "Join" button on the top right portion of the header. This will lead you to the Membership Overview Page. Click "Sign Up Now" button at the bottom of the body copy. Fill out the Registration Form on the following page. Select the “My Account” button on the top right portion of the header. This will lead you to the My Account Dashboard page. 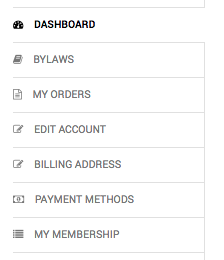 Use the sidebar menu to select the different areas of your Account. 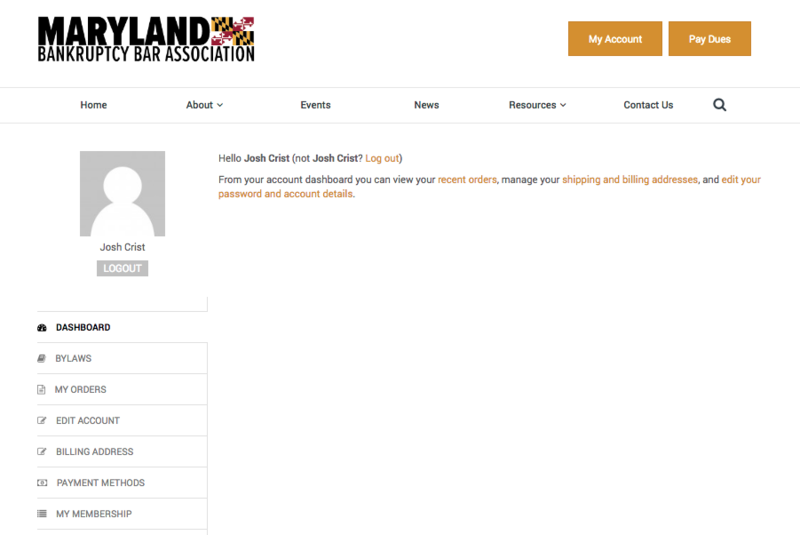 Dashboard: Overview of your Membership Account. Bylaws: The most recent version of the MBBA Bylaws. My Orders: Where you can view all of your current and past orders. Profile Image: Hover over to update or upload. Edit Account: Where you can update all of your account information. Billing Address: Where you can update your Billing Address. Payment Methods: Where you can update your Payment Method. 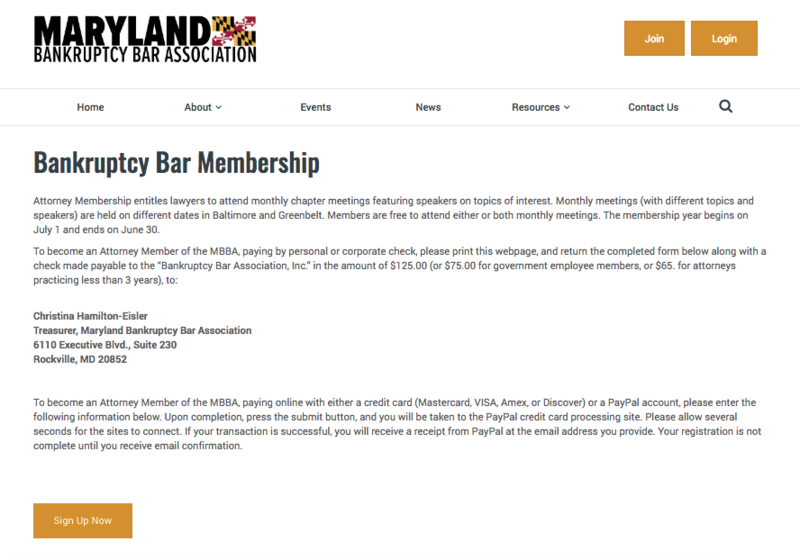 My Membership: Where you can view and renew your account status.